Are you ready to head to the polls? Only four out of every ten Americans voted in the last midterm elections. Don’t be one of the ones who stays home this year. Get the information you need to make your voice heard on election day. Note sure where to go to cast your vote? Check your polling place online. Ever gotten your ballot and realized you hadn’t heard of half the people on it? Make an informed decision by knowing what’s on your ballot ahead of time. The UFCW endorses some political candidates who have shown themselves to represent the interests of working men and women. To find out if the UFCW has endorsed a candidate in your area, click here. Conditional Voter Registration 2012 “Conditional voter registration” (CVR) is 14 days before an election through Election Day. County election official offices and satellite locations (not at precinct polling places). The ballot is considered provisional until county election officials check through the statewide voter registration database (VoteCal) if the voter was registered and voted elsewhere that election. This may be through an e-poll book or by connecting to VoteCal back at the office. If CVR occurs on Election Day, wherever it takes place, the elections official will wait until all polling place ballots are logged before counting a CVR provisional ballot. An elections official has until the close of the canvass to count or reject a CVR provisional ballot. Voter Registration FAQs 2013 Early voting period through Election Day. Statewide vote centers. Any eligible voter can register or update voter registration from any county in the state. However, the voter’s unique ballot style will only be available within his/her county. A registered voter from an outside county will only receive a ballot for statewide races. Voters are required to show a Colorado state driver’s license or ID card issued by the Department of Revenue, and complete and sign a self-affirmation and affidavit. Colorado developed its own e-poll book system that is networked to communicate with the statewide voter registration database in real time. All jurisdictions have access to the system to check that a new registrant has not registered or voted in a different county in the same election. Election Day Registration 2012 Election Day (not offered for primary elections) Designated locations in each town (not at precinct polling places). Proof of identity and residency is required. The applicant must appear in person at the location. Applicant must, under oath, declare they have not voted previously in the election. Registrars check the state-wide centralized voter registration system. The applicant will also sign the ballot envelope confirming they are eligible to vote in the election. DC Board of Elections Registration FAQ 2010 Election Day. Individuals may register after the 30th day preceding an election including on Election Day. They may only register and vote on Election Day. Any voting location during the early voting period, and precinct polling place on Election Day. Applicant must appear in person at the Board of Elections’ office. Applicant makes an oath and provides proof of residence and may provide any identification as required by federal, district, or board law/regulation including valid government ID, copy of current utility bill, bank statement, government check, pay check, or other documents specified by the board. E-poll books are networked and synchronized, and indicate if a voter has previously registered or voted. Voters who register on Election Day and cannot provide proof of residence must vote provisionally. Registration in Hawaii 2014 Early voting period through Election Day. Precinct polling place or absentee polling place established in the county associated with a voter’s residence. To register, applicants must provide their Hawaii Driver License, state I.D., last four digits of their social security number, or voter I.D., which will be confirmed when received by the clerk’s office. Applicant makes a sworn affirmation that they have not voted and are qualified to vote. Any applicant providing false information may be guilty of a Class C felony pursuant to state law. Voter Registration FAQ 1994 Election Day Precinct polling place where voter resides. Voters doing same day registration are required to show a photo ID and proof of residence, i.e. a bill, bank statement, check stub, or any other document with their name and residence address within the precinct printed on it. Voters also complete an oath as prescribed by the secretary of state. Registering to Vote in Illinois 2015 “Grace period registration” is from the 27th day prior to the election through Election Day Office of the election authority, at a permanent polling place, at any other early voting site beginning 15 days prior to the election, at a polling place on election day, or at a voter registration location specifically designated for this purpose by the election authority. Two forms of identification with at least one showing current address. Driver’s license and university or collage ID can be one of the two, as can current utility bill, bank statement, pay check, government check, or other government document that shows name and address. Local election officials verify information of same-day registrants, usually after the election. If duplicate registrations and voting history are found, it would be up to each local official to provide that information to their local state’s attorney. If a voter is unable to provide the required identification would vote provisionally. Election Day Registration 2007 In-person absentee period through Election Day. At the county auditor’s office or satellite voting location during in-person absentee period, and precinct polling place where voter resides on Election Day. In order to register and vote on election day voters must show a current photo ID as well as current proof of residency. The applicant also completes a written oath. Counties do use e-poll books, but they are not connected to the statewide voter registration database. If a voter did register and vote at more than one location on election day it would be caught when vote credit is applied through the statewide voter registration database. Voting more than once is election misconduct in the first degree. Voter Registration in Maine 1973 Election Day, however there is no registration deadline when registering to vote in person at the town office or city hall. The deadline for mail registrations and voter registration drives is the 21st day before the election. In person at the town office or city hall prior to the election, and precinct polling place where voter resides on Election Day. If a voter registers to vote on Election Day, and can show proof of identity and residency, then they vote a regular ballot. If they don’t show satisfactory proof, then they vote a provisional ballot. Real-time registration is not available, but if a voter attempts to register and vote in more than one location, the local election official would be alerted when trying to enter voting history after the election in the statewide voter registration database. The voter would be referred for prosecution for dual voting if applicable (Note that Maine has had election day registration since 1975 and has only had four prosecutions for double voting). Voter Registration in Maryland 2013 Early voting period only. Early voting locations. Maryland partners with the Motor Vehicle Administration to obtain the drivers licenses of those who are eligible to register, but aren’t in the statewide voter registration database. An individual would supply their driver’s license to register and vote. If the individual doesn’t have a driver’s license they would vote via provisional ballot. E-poll books are networked together during the early voting period, but not on Election Day. Register on Election Day 1974 Election Day. Precinct polling place where voter resides, county offices, and in-person absentee voting centers. Election Day registrants must provide proof of residence. Voting history and election day registrants are input simultaneously into the statewide voter registration database after the election. The system provides notifications if there is an indication that an individual voted before an election day registration, or if more than one Election Day registrations were input for the same individual. Data provided by an Election Day registrant is verified with the Division of Vehicle Services and/or the Social Security Administration, the Department of Corrections, and the Department of Public Safety. How to Register to Vote 2005 Late registration (after the registration deadline 30 days before an election) is available through Election Day (except between noon and 5:00 p.m. the day before the election) at county election offices. County election office. Local Election officials verify signatures and identification of voters. Anyone who transfers their registration on election day must do so at a central location and must vote a provisional ballot that is counted only if it is confirmed that the individual did not vote previously. Registration in New Hampshire 1996 Election Day. Town or city ward where the voter resides. Voters must provide sufficient identification and proof of residency in order to receive a ballot. Those who present insufficient photo identification to get their picture taken at the polls and sign an affidavit. New Hampshire sends letters with return post cards to all who sign affidavits on election day, and submits to the attorney general all who fail to return signed post cards or whose letters are returned marked “undeliverable.” After the election, New Hampshire runs a variety of checks to identify potential double voters. A check is conducted against the statewide voter registration database to identify those that may have voted elsewhere in the state, and the Interstate Crosscheck to identify those that may have voted out-of-state. If found, double voters are referred to the attorney general for enforcement. One-Stop Early Voting and Same Day Registration 2007 Early voting period only. Early voting locations determined by county. Voters must attest to their eligibility and provide proof of residences. Within two business days of the person’s registration, the county board of elections will verify the registrant’s driver license or social security number, update the voter registration database, search for possible duplicate registrations, and proceed to verify the registrant’s address by mail. The registrant’s vote will be counted unless the county board of elections determines that he or she is not qualified to vote. UCA 20A-2-207 2018 Early voting period and Election Day. Early voting locations and polling places. Voters may register to vote and vote via provisional ballot. Voters must provide valid voter identification and proof of residency, and the provisional ballot is counted at canvass if the voter has met the required qualifications. The ballot is not counted if the county clerk finds that the voter is not eligible for registration or not legally entitled to vote the ballot. Registration in Vermont 2015 Up to and including Election Day. Town or city clerk’s office before the election, and precinct polling place where voter resides on Election Day. Vermont has the ability to conduct a post-election audit that would identify any individual who registered and voted in more than one town in the same election. The results of that report would be sent to the Attorney General’s office for investigation and prosecution. Voter Registration Guide 1975 Election Day. Precinct polling place where voter resides. All individuals must provide both a proof of residency document and proof of identification document to register on Election Day. The statewide voter registration system provides notification to local election officials to prevent duplicate registration records, although that process happens only after the registration is entered into the system which is usually after Election Day. Voting at two locations on Election Day is a felony offense. Registering to Vote 1994 Election Day. Polling place or vote center, if vote centers are available in the county, or other location designated by the county clerk. Applicants may vote a regular ballot if they are able to provide proof of identity and residency. Otherwise they are required to cast a provisional ballot. Every county that utilizes vote centers has its e-pollbooks networked securely through a VPN and several layers of encryption. E-poll books are used to check whether or not a potential registrant has already voted elsewhere. The table above was compiled from information provided by State Election Directors or State Election Offices, and additional research conducted by NCSL staff. In Rhode Island, voters who missed the voter registration deadline may vote on Election Day for the offices of President and Vice President only. This is done at the office of the Board of Canvassers, not at the polling place. Rhode Island is not included in the table above. Workers in New Mexico have ratified their first contracts after voting to have a union voice with the UFCW. Workers at two companies across four locations in New Mexico have ratified their first contracts with their employers after voting to have a union voice with the UFCW. The new union members work for Natural RX and MJ Expresso. Natural RX has a dispensary in Albuquerque and an agricultural operation in Bernalillo with a planned expansion into Las Cruces, New Mexico. 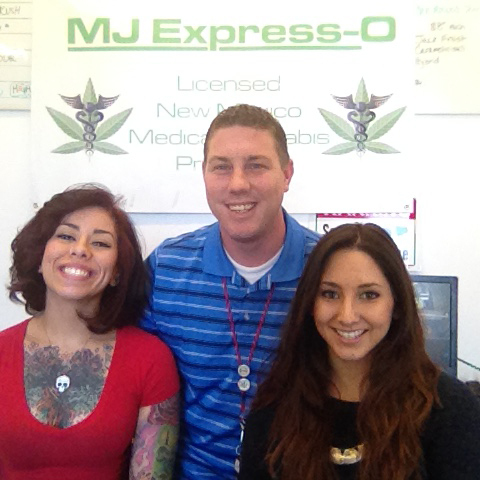 MJ Expresso has a dispensary in Las Cruces and an agricultural site in Truth or Consequences, New Mexico. “Working with the UFCW has my coworkers and myself feeling secure and optimistic about the possibilities ahead,” said Tyler Watson who works security at MJ Expresso in Las Cruces. The contracts are part of the UFCW’s efforts to ensure that this new industry becomes one of good family-supporting jobs with benefits to the communities they serve. Workers are coming together across the country as part of this effort, you can learn more at cannabisworkers.org.